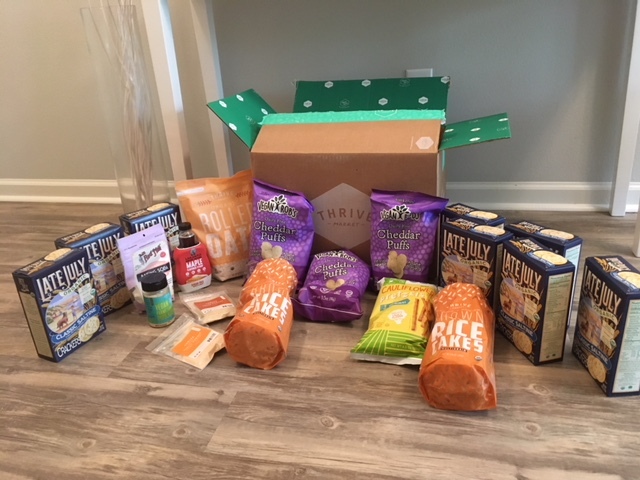 I got my latest Thrive Market order in! I love ordering from Thrive as they are always offering freebies with an order. With my latest order, I got a FREE bottle of Thrive’s vegan parmesan cheese! That plus all of the other products I got in the pic above for just $59! Thrive Market has the best base prices on organic groceries and natural household products, and even beats out VitaCost in most categories. Their shipping is always really quick and there prices are much lower than shopping in store. I’ve been ordering from them for years. I love that they carry hard to find brands and many allergen-free foods. Each time I order from them, I notice that they have tons of new products. You can pretty much find anything you need now on Thrive, including some of the best prices seen on their natural and organic signature line of Thrive products, offering household, grocery, personal care, vitamins and more. For a limited time, All Natural Savings readers can score a whopping 25% off your first order (their very best offers) with Thrive Market! This is on top of their already low prices, so you can really score some hot deals with this offer. Just go here to sign up and the discount will appear at checkout. You’ll also get a free 30 day trial with Thrive. After that, if you continue, there’s a $59 yearly fee (think Costco membership), but I’ve found it’s worth it with the savings.